It took nearly a century for the Temperance movement to catch on and become part of the mainstream conversation. A fun side note is the Volstead Act wasn’t written by the Congressman Andrew Volstead, but rather by Wayne Wheeler: an equally joyless Case Western alum and a native Ohioan. I’m not going to talk about him. I’m not going to talk about Capone or Remus, either: it’s been done. Many people use alcohol in order to calm the nerves and relax the mind, and without the legal availability of this vice, Americans needed something else to comfort the wounds of daily life. As a nation, America took a page out of the sailor’s handbook established a few years earlier. The US Navy banned alcohol on ships and ports in 1914, which was just in time for World War One. Josephus Daniels, the Secretary of the Navy at the time, was a fervent supporter of the Temperance Movement, so alcohol had to go. With advances in refrigeration, ice cream became an easy and affordable way to ease the nerves of sailors forced to sail wartime waters dry. The Navy built two floating ice cream factories on concrete barges to supply the needs of the Pacific and Atlantic fleets. From 1916 to the end of Prohibition in 1933, Americans got hip to the frozen fun: ice cream consumption rose 55%, which was aided by FDR’s New Deal program, bringing electricity to even the most rural Americans, replacing the literal dark age with the ice cream age. Breweries converted to making ice cream to keep their workers working through Prohibition and The Great Depression, with powerhouses like Anheuser-Busch, Stroh’s and Yuengling becoming creameries thanks to beneficial legislation pushed by dairy lobbyists working with the Anti-Saloon League. Dreyer’s Ice Cream, with the help of Edy’s Candy Company, invented the flavor “Rocky Road” during The Great Depression, naming it for hard times most of America had fallen on and helping both companies reduce inventory of perishable goods. Popsicles, Drumsticks, ice cream cups and desert bars were invented, all made possible with wide-spread electricity and technology, becoming million-dollar industries that allowed thousands of impoverished Americans find stable economic footing in the process. The love of ice cream became such an intense part of American culture that sailors aboard the USS Lexington, an aircraft carrier sunk during the attack on Pearl Harbor, raided the freezers and ate all the ice cream before abandoning ship! Bomber crews stationed in England even went so far as to mix up buckets of custard and hang them inside the rear turrets of their B-17s while flying missions. The combination of the high-altitude chill, engine vibrations, turbulence, machinegun fire, and explosions would churn and aerate the custard as it froze. By the time the aircraft landed, it was warm enough to soften it for serving to the air and ground crews. This is particularly sobering considering the life expectancy of a bomber crewman was 15 missions and these soldiers had an enlistment obligation to fly 25. The buckets the custard filled were better armored than the aluminum-skinned bomb-belching sausages they were hung in, so I imagine this post-mission ice cream took on sacramental symbolism because the airmen’s lives were increasingly more probable to be extinguished the next time they took to the air. Even ground forces got in on the action: soldiers would mix snow and melted chocolate bars from their alphabet rations into a kind of sorbet, combining the ingredients in their helmets and sharing a small comfort together in their foxholes. In 1946, the average American consumed 20 quarts of ice cream because it was a common item to enjoy when celebrating the end of the war! Today, the average American consumes 22 POUNDS of ice cream every year, and you can thank Prohibition and the Greatest Generation it forged for your expanding waistline. Without Volstead and dispirited teetotalers, ice cream would never have become as popular as it is today. 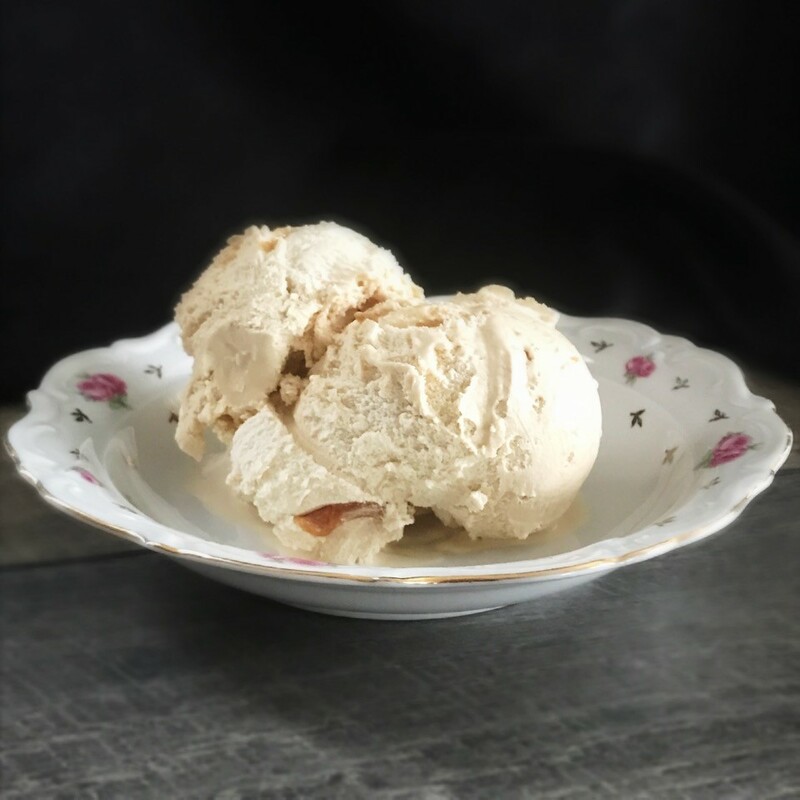 Instead of celebrating the dark days of Prohibition with stories about criminals and idiots, here’s a booze-besought recipe for some ice cream you can make at home.